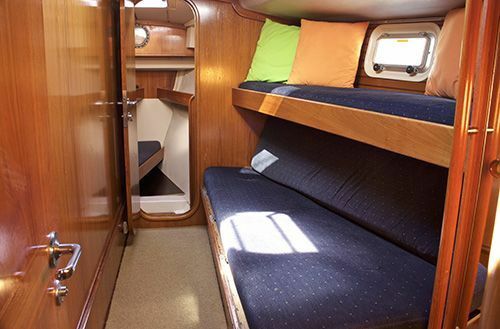 The Beneteau Oceanis 500 is a sailboat of spectacular dimensions. 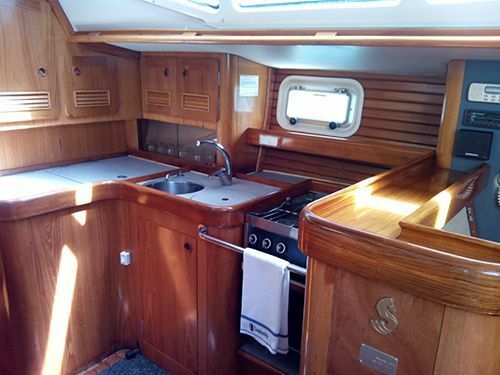 An elegant boat of noble woods and with an oak finish. 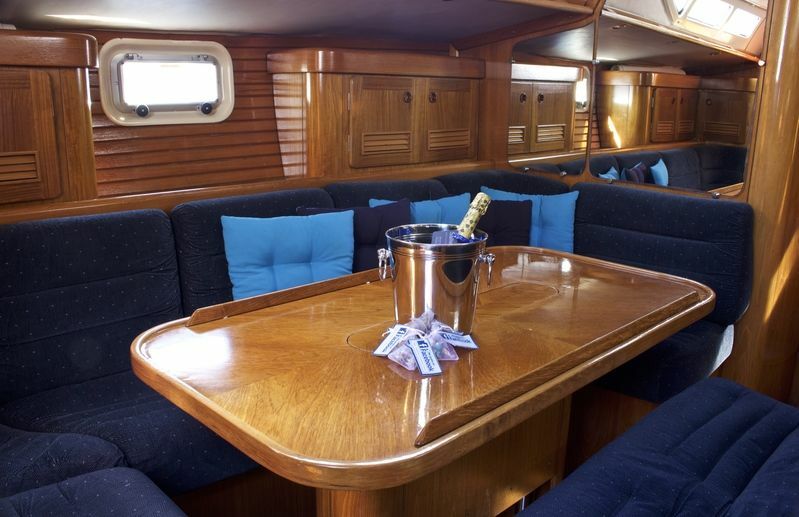 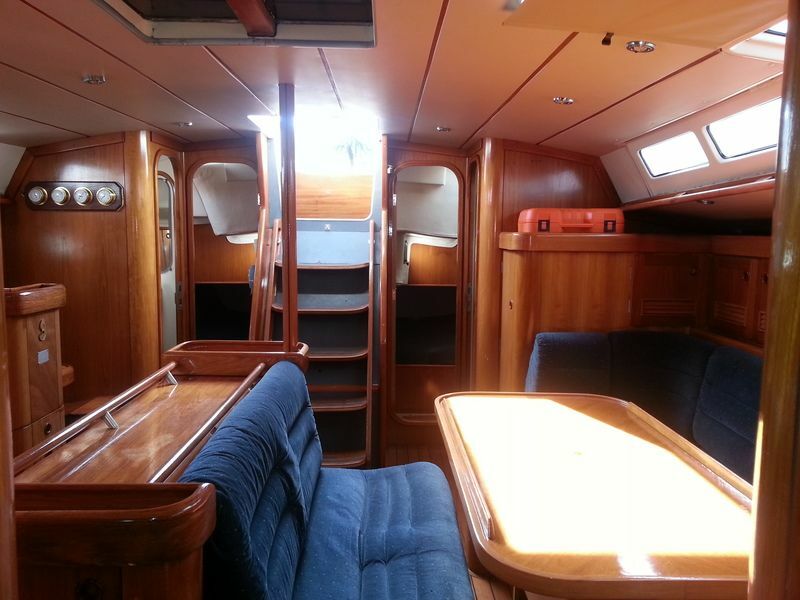 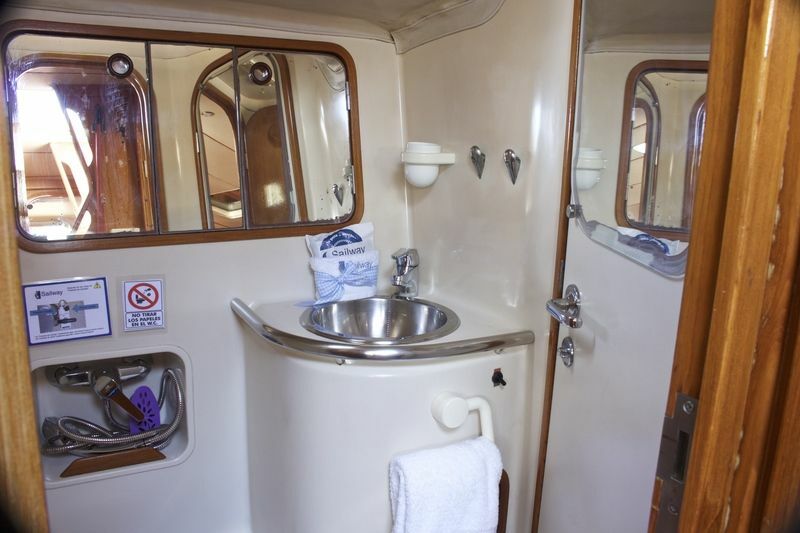 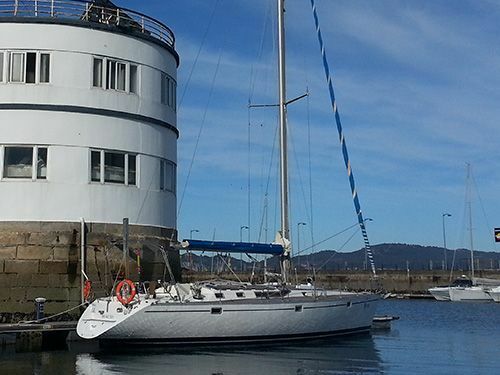 It has a very large saloon with separate kitchen and has 4 cabins, 4 bathrooms and an extra cabin for the skipper. 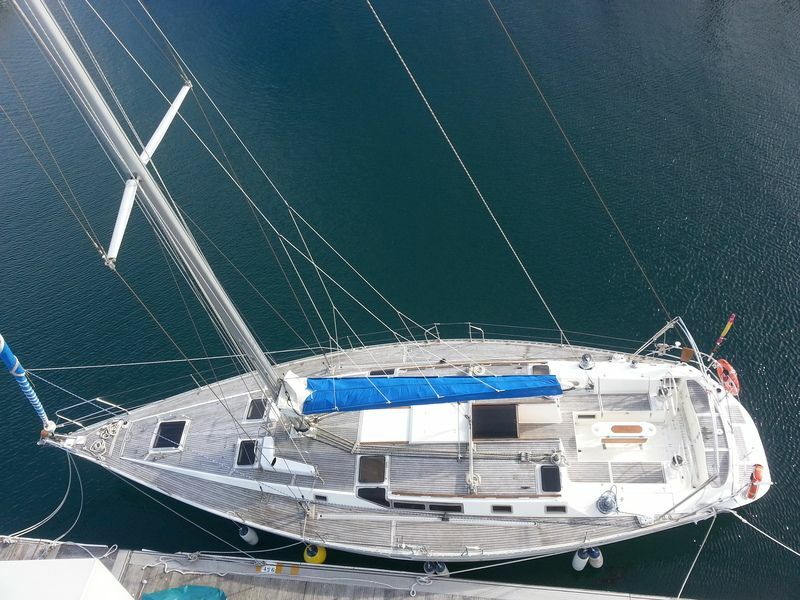 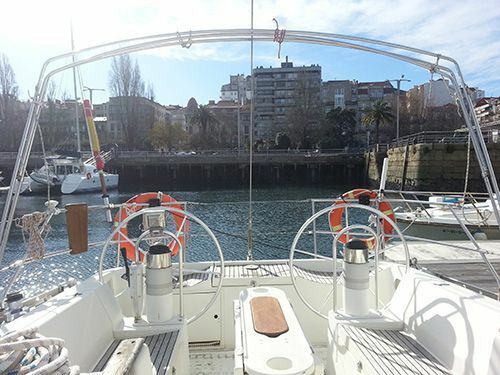 Its length is 15.60 m and its beam is 4.75 m. It is the perfect sailing boat for day charter!